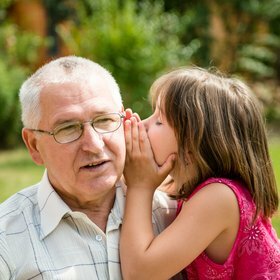 Most grandparents operate on instinct, but there are times when we simply don’t know what to do for the best. Something is going on between our grandchildren and their parents and we stand on the sidelines wondering: should we interfere or keep out of it? It can happen at any age and be due to common, everyday things – sibling rivalry, parental favouritism, when a child’s choice of extra-curricular activity at school doesn’t match their parents’, adolescent hormonal rages – or, more disastrously, when there are signs of drug taking or when children become confused and anxious because their parents aren’t getting on. In big issues and small, it’s tempting to take sides, but state your own views too firmly and your credibility will be reduced. In these circumstances, we don’t appreciate the extraordinary power we have as grandparents – not because we’re all-knowing or always right (we’re not), but because we’re loved and trusted by both sides and because it’s not our row. That makes it safe for our children and grandchildren to come and talk to us about whatever is bothering them, knowing that they're on loving but neutral territory. You can provide the opportunity for a ‘time out’ by letting your children get their troubles off their chests in private. Just saying something aloud can clarify matters, and they'll be able to see clearly the problem and its possible solutions for themselves. It’s important to take your grandchildren seriously as people, too. By asking them to tell you what’s wrong, you can give them a different perspective. If it’s a row about a teenager being out late, say, you might gently point out the bigger picture – ask them to imagine how worried their parents might have been. If it’s more serious, you can suggest that they open up a discussion with their parents (in which you'll take part only if asked). When things go a little pear-shaped, being there to listen can make all the difference.